Made in Sweden, the Gen 1 Saab 95 had a purity of design the later models lost a little, this particular Saab once belonged to the Chief Constable of Cumbria and had been well looked after. It’s recently had a huge amount of work carried out which has made it one of my all time favourite Saabs and one I won’t want to let go of easily. Following a rigorous maintenance check by Malcolm Miles Saab Specialists, the Aero had numerous perished hoses changed, brake pipes replaced and a general overhaul to ensure continued reliability, the sump was also dropped, cleaned and replaced with new gaskets and bolts. The brakes were stripped down, cleaned and replaced and suspension upgraded with Bilstein B8 shocks and MapTun lowered springs, a hugely rare set of genuine 19” Carlsson Turbo X alloys powder coated in satin black have been added together with the excellent Pirelli Potanza tyres all round. A bespoke 3” stainless steel downpipe has been commissioned from Al at APH Performance and coupled with a full stainless steel Jetex exhaust system, these together with a DO88 intercooler, large intake pipes, BSR filter and numerous other replacements, the Saab now offers a refined 280 - 300hp and makes it an exceptional car to own and drive - beautifully comfortable on long journeys and ridiculous fun on country roads with ample power to embarrass plenty of newer executive saloons. 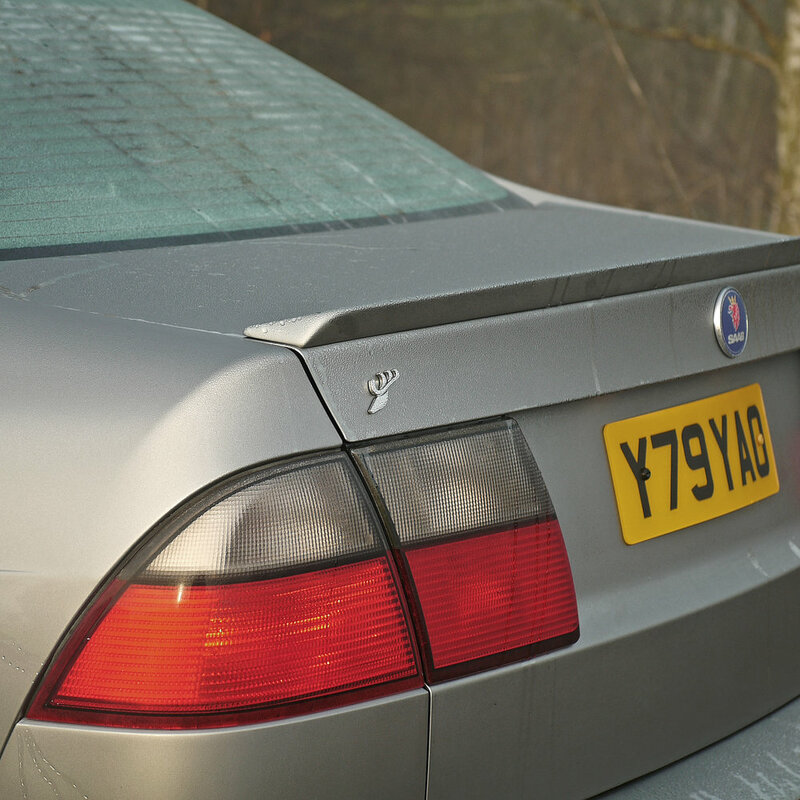 Being 17 years old, it has a genuine patina with very minor marks which I feel are part of the Saab’s story, and whilst the bodywork presents well, older 95s suffer from the odd areas of rust near the base of the rear wheel arches, these have been cut out, rewelded and repainted, the notoriously delicate front Aero bib spoiler has also been removed fixed and repainted. A very rare and discreet genuine boot lip spoiler has been added, the car fully de-badged and a single Hirsch emblem added. 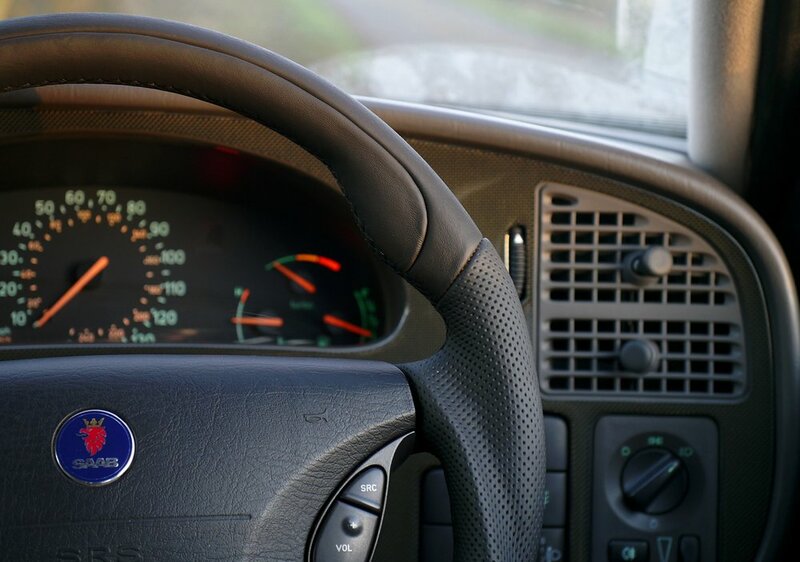 No complete without a number of refinements, I’ve sourced a brand new, genuine Saab carbon fibre dashboard, imported a Hirsch style Nappa leather steering wheel and replaced the earlier, less sculptured Aero interior with a near perfect 2007 Anniversary two tone Aero leather one. This is an exceptional Saab Aero, and one that will now give many more years of Saab smiles, the early first generation 95 offers complete individuality together with plenty of style, comfort and power. The spend has been close to £6k to keep this beautiful Aero on the road, so offers fantastic value at £4500. *All Aeroriginal Saabs have a Gentleman’s Agreement of a 3 month, £500 mechanical warranty which will always need to be under the capable care of Malcolm Miles Saab. This is paid by me directly and reinforces my belief in just how great older Saabs are.